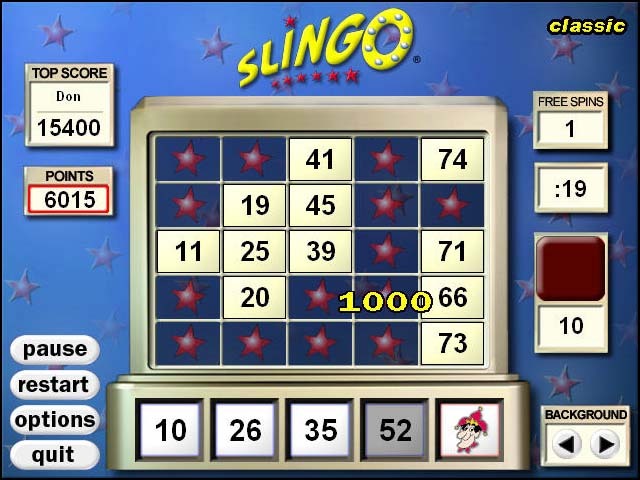 "Slingo" is the unique combo of legendary faves, Bingo and Slots. 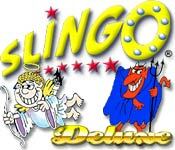 Slingo Deluxe is the first downloadable version to allow offline play. 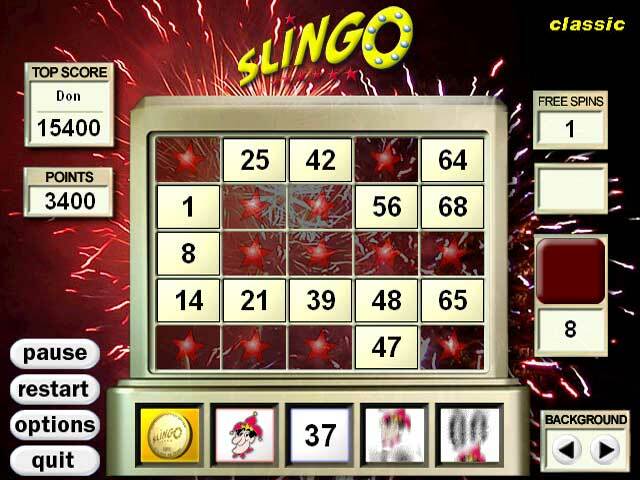 First developed as a traditional slot machine in 1995, Slingo became one of the biggest multiplayer games on AOL only one year later. 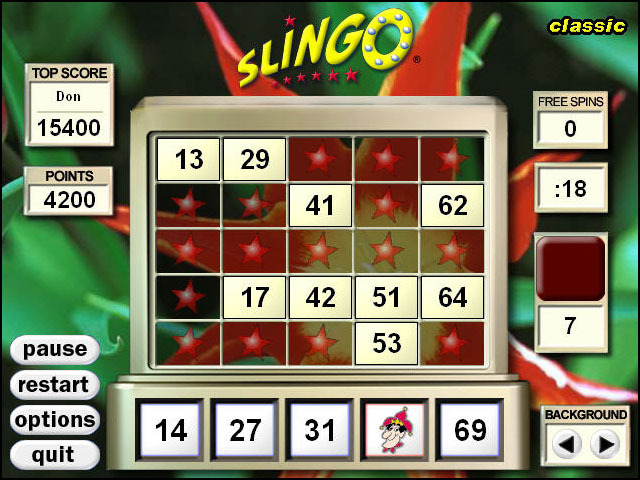 Slingo Deluxe features sharp graphics, saved stats, top 10 lists, and custom backgrounds. This game is the perfect no-risk experience for anyone who enjoys the game of chance. Fun and chance of Bingo and Slots.